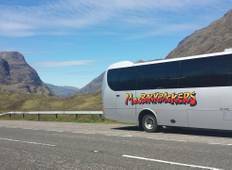 Find the right tour for you through Pitlochry. We've got 82 tours going to Pitlochry, starting from just 3 days in length, and the longest tour is 24 days. The most popular month to go is August, which has the most number of tour departures. 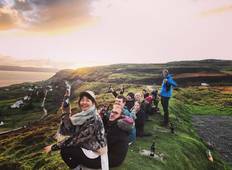 "It was a lovely experience and a majority of it was possible because of MacBackpacker's..."
"I am so happy I went on this tour. I got to see so much of Scotland in a short time...."
"Took this trip with my 14 year old grandson. He loved the castles we toured and Britannia...."
"Great tour had a brillIant time"
"Great tour, Martin was an awesome guide and although cold and windy in winter, you..."
"The ambience in the coach was good. Scenery was wonderful. Callum knew his history..."
"Me and my friend loved the tour. We had enough stops to take pictures or to buy food...."